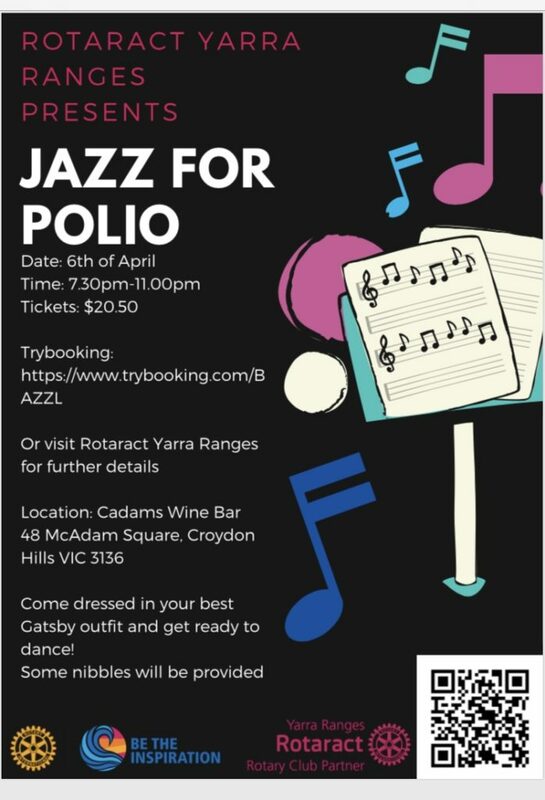 “Jazz For Polio” Fundraiser Evening, organised by the Rotaract Yarra Ranges. The evening is being held at Cadams Wine Bar in McAdam Square Croydon. Dress to impress in line with the Great Gatsby style.